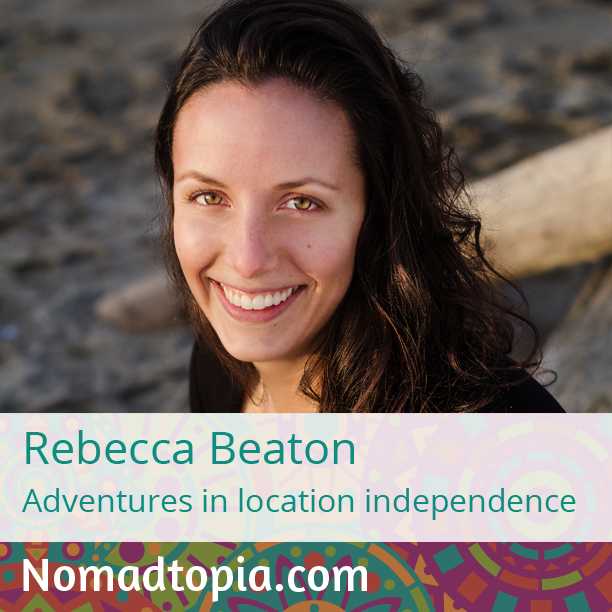 Rebecca Beaton was already an entrepreneur when she realized she could work from anywhere, so it was an unexpected bonus! A rather spontaneous decision to take a road trip while building her newest business taught her a lot, and it was the beginning of many more adventures, at home and abroad. The road trip of course was pretty special. However, this summer has been great as I’ve been able to take off on mid-week trips with friends, go camping whenever I want… I just love being able to be totally spontaneous and not having to plan time off work in advance. I love waking up in the morning knowing I could spend the whole day at the beach if I really wanted to, or drive to the mountains and go on a hike (even if I don’t!). Constantly being on the move and travelling while running a business is hard!